When you think of tequila, you probably think of a margarita. The margarita is one of the most popular tequila drinks around today. And it’s no wonder because they taste great and also pack quite a punch. I know a place in Hoboken, NJ that has a three drink maximum policy for it’s margaritas because they’re loaded so loaded with tequila that after three you can still stagger home. After four, you’re a lost cause (Don’t ask me how I had 4) Even though they’re so strong you’d never know it from the taste. These margaritas are that good. As with all recipes whether they’re for cocktails or even food, the key is quality ingredients. 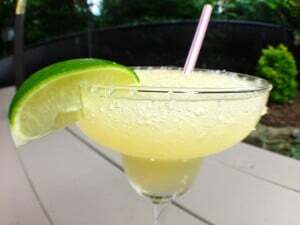 Cheap tequila that you can find on sale at your local liquor store will result in a cheap tasting margarita. Fresh lime juice can also make a huge difference in how the drink tastes. Go the extra mile and squeeze some limes if you want to impress your guests. Once you become a master margarita maker, you may have to impose a 3 drink maximum at all your parties.